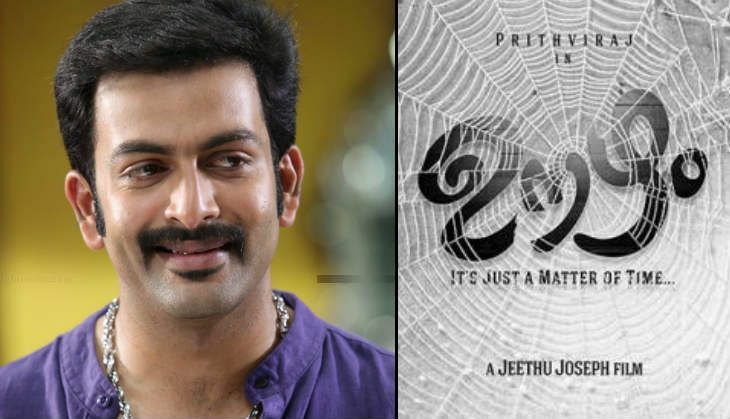 The much-awaited Prithviraj starrer directed by Jeethu Joseph has started rolling in Coimbatore. The super hit actor-director duo is back again with their new film, Oozham - It's just a matter of time. The duo's 2013 film Memories was a huge success at the Box Office. Touted as an intense revenge drama, Oozham stars Divya Pillai as the female lead. The actress did a commendable job as Heera in her debut film Ayal Njanalla. Music of the film has been composed by Anil Johnson. The film also stars Neeraj Madhav, Irshad and Sreejith Ravi in supporting roles. Director Jeethu will be looking for his fourth blockbuster after My Boss, Memories, and Drishyam. The director's last flick starring Dileep, The Life Of Josutty was an average fare at the Box Office.